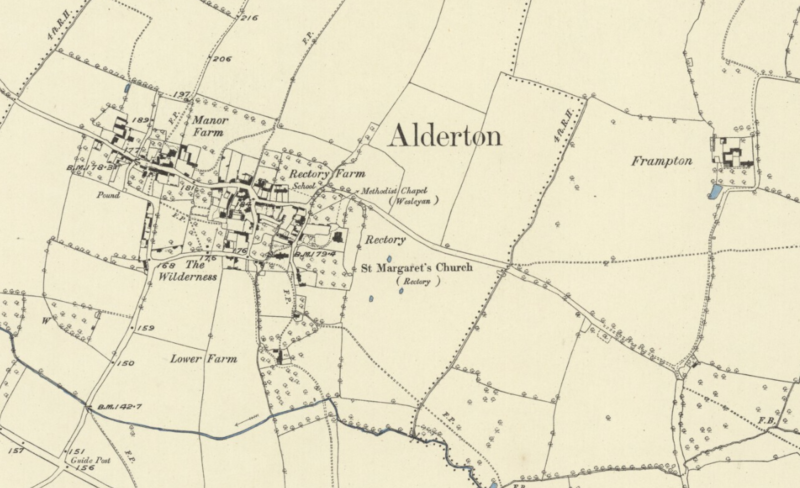 Whilst Alderton is now one village it was previously identified in 1500 as consisting of two hamlets, one to the East known as Brentyard and one to the West known as Polysend. Until 1831 the Parish was known as "Alderton with Dixton". Alderton lies in the valley between Alderton Hill and Dixton Hill. 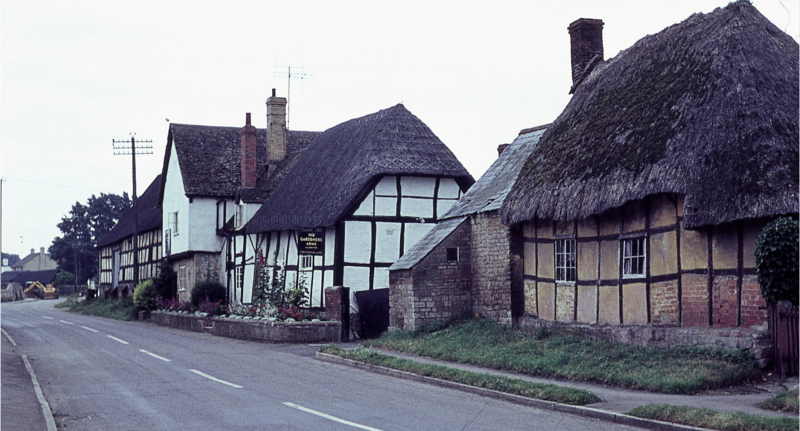 The village was on a drovers' route between Hereford, Worcester and London and there still remains an area known as "the pound" which is located close to the existing pub where the cattle are said to have rested overnight during their journey. 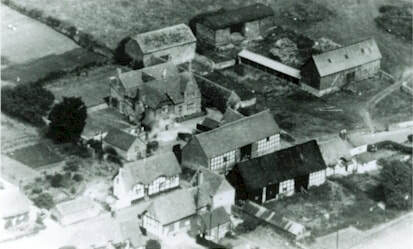 The southern and western sides of this rectangle remained free of houses until the late 19th century; on the western side stood the village pound near the site of the later war memorial, and on the northern side was a field known as the Green, where in 1962 games continued to be played and fairs held. 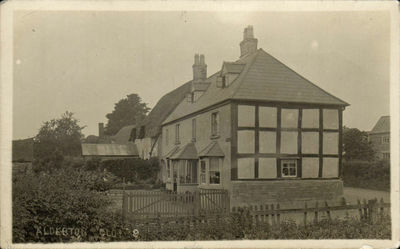 ​From the late 19th century many small houses were built, mainly in the south-western part of the village. Council houses were put up at the north-east corner immediately before and after the Second World War, and an estate of privately built houses went up along the southern side of the village in 1961 and 1962. 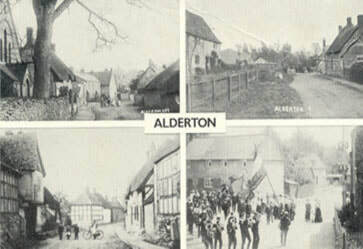 Alderton was mentioned in the Domesday book in 1086 as Aldritone or the "Town of Alder". You can read more on our Domesday Book page. 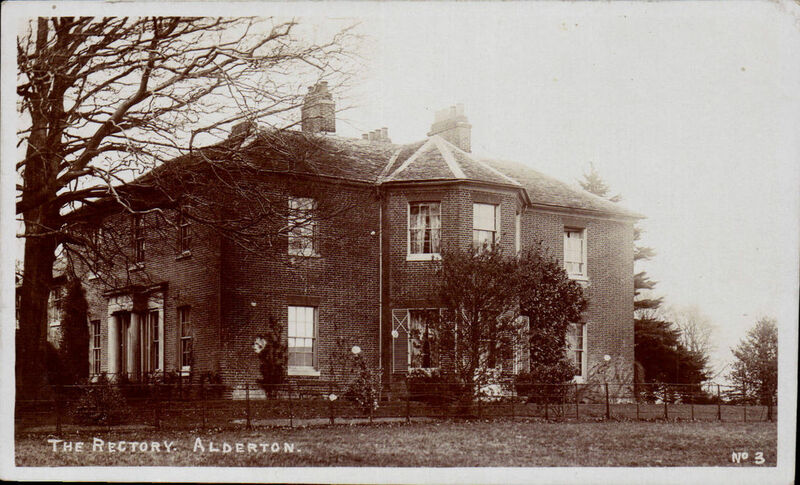 Alderton is older than its neighbouring village of Dixton although Dixton housed the Lord of the Manor. 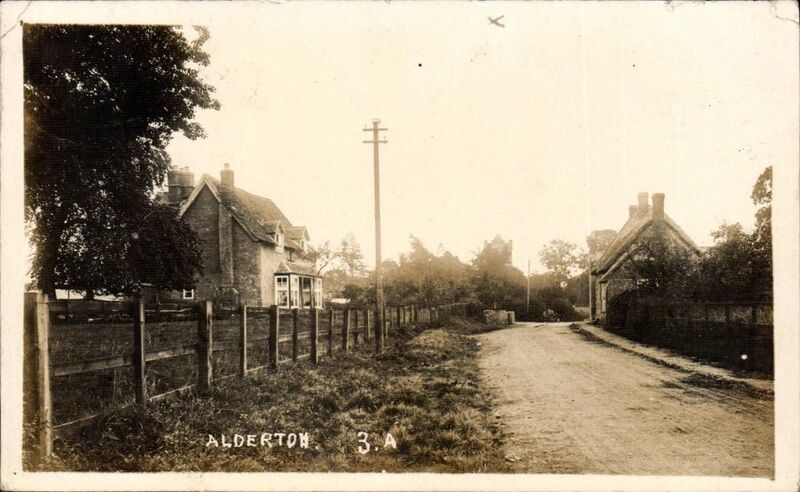 Alderton was also the bigger of the two villages with a population of 172 registered in 1770, growing to 487 in 1861. 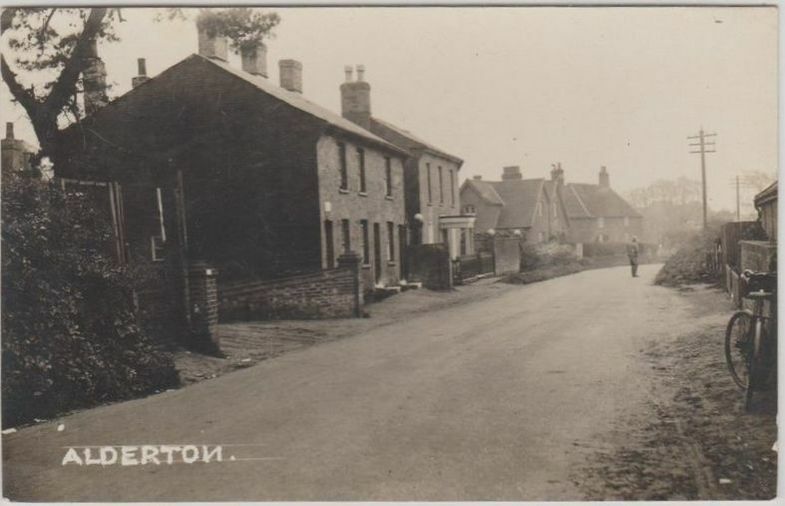 This growth is attributed to a succession of good harvests although its size has changed little since the mid 1800s with just over 500 adults now recorded as being resident in the Parish. It's location is almost certainly due to the existence of a patch of sand in a region of mainly clay, which with the clay subsoil, results in soil variations across the village. This enabled wells to be dug for the provision of a reliable fresh water supply, with a village pump in Cambridge Square in the 19th & early 20th Centuries. Mains electricity became available in 1930, water in 1933, sewage in 1937 and mains gas in 1938. 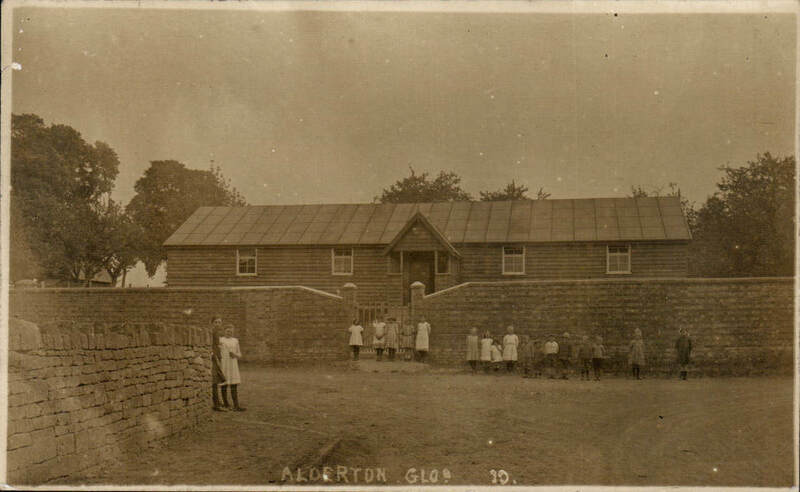 Sand and gravel for road building were quarried in the village during the 19th Century, but other than this, Alderton appeared to have remained a self-contained farming and market gardening community over many centuries. 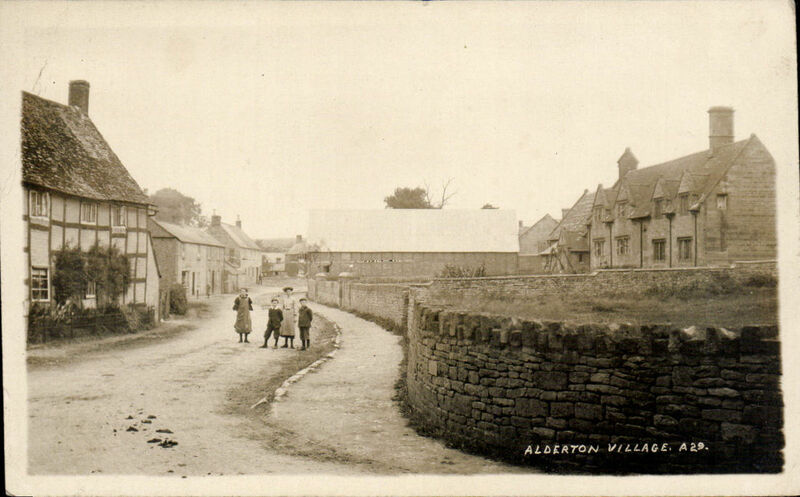 The history of Alderton can be explored in more depth in the book about the village which is available from the Village Shop. British History Online have a fascinating online copy of A History of the County of Gloucester: Volume 6 , originally published in 1965. It has always been large compared to nearby settlements, the total population being recorded as 200 in the year 1700 and 487 in the 1861 census. A review in 1710 revealed that the community included 2 innkeepers (one from 1522), a tailor/weaver, 2 blacksmiths, a cordwainer and a stonemason/wheelwright. There was little influence from resident gentry or large landowners. Self-dependence thrived with no true "Lord of the Manor" and with the village located away from the main highways and at an appreciable distance from towns. 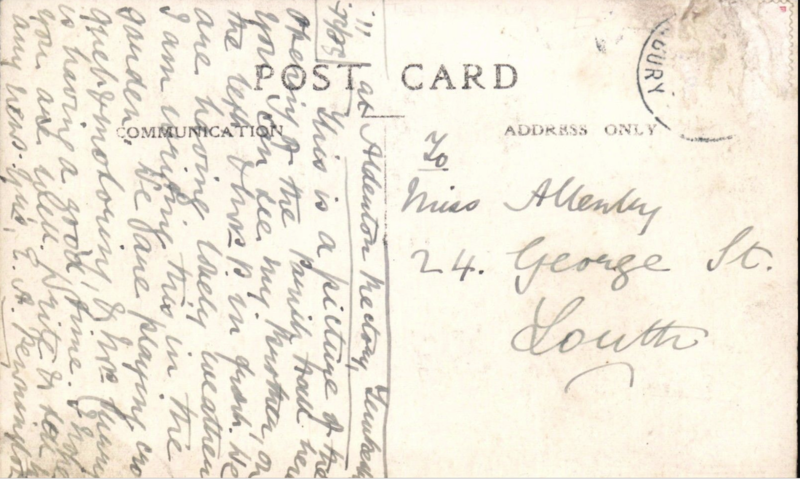 In 1860 there had been a possibility of a railway station, to link between Toddington via Alderton to Beckford, but it did not materialise due to an objection by the Earl of Weymss & March, whose land would have been required. 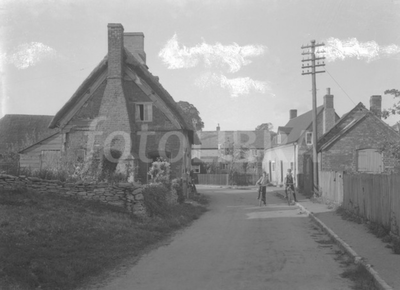 Links with the local towns were by horse-drawn carriages and locals were known to walk to Cheltenham, shop and return to the village before lunchtime! The Church of St Margaret of Antioch dates as a chapel, linked with Winchcombe, from pre-Norman Conquest times. The first Rector of Alderton was appointed in 1283, however, Alderton residents were required to be buried in Winchcombe until 1379, when it was decided to provide a graveyard in the village. 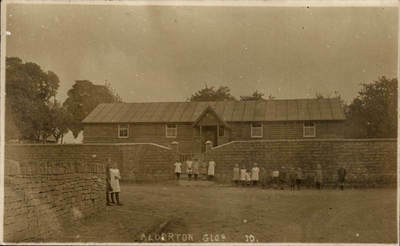 Alderton managed more than 700 years with a full-time rector, who in Victorian times, was the major village landowner and who expected commensurate recognition, including the doffing of caps by the men & boys and curtsying by the girls. 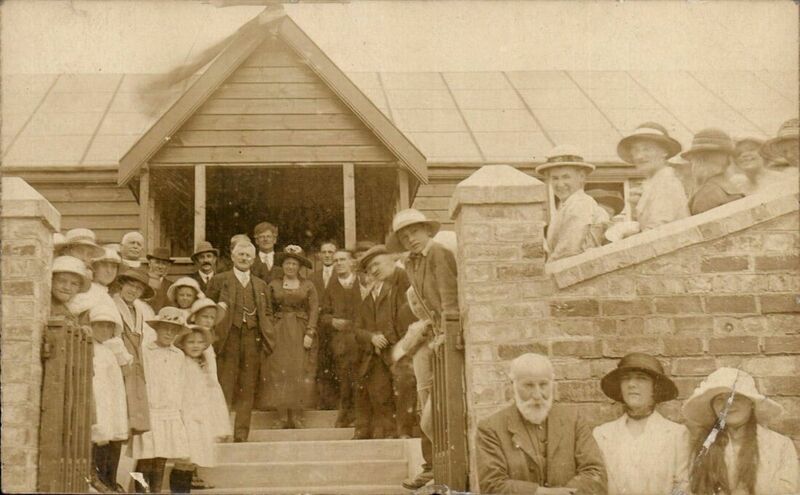 Have you seen the new website for the Alderton war memorial?